If you are looking for Harley-Davidson® motorcycle parts then you have come to the right place. Here at Richardson’s Harley-Davidson®, you can find anything that you will need for your motorcycle. Improve your music experience with our audio and electronics section. We have a wide range of accessory bags, luggage, luggage racks for your bike for those short trips to touring the country. 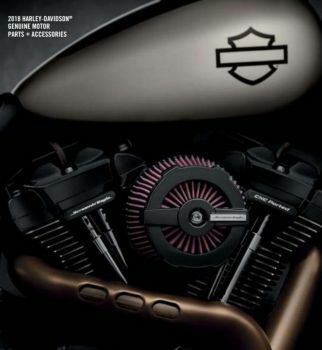 You can also find Harley-Davidson® motorcycle parts for your brakes, suspension kits and shocks, electrical parts like batteries, chargers, spark plugs and more, exhaust accessories, mufflers and pipes, muffler end caps, foot controls for your brake lever, brake pedal pads, engine guards, footboard inserts, footpegs and mounts, forward controls, shift levers, and linkages. Increase your comfort and control on the bike with hand control levers, hand grips, switches, and housings. Choose from our wide range of instrument and gauges, lighting, tires and wheels, windshields, seats, backrests, side plates and mounts, mirrors, and every maintenance kits needed for your bike's air and oil filters, oil and fluids, surface care and other tools. You can also upgrade your Screamin Eagle engine from our air cleaners, engine, and components, exhausts, ignition components lists. Grab your own Harley-Davidson® performance kits and specialty tools here at Richardson’s Harley-Davidson®. Richardson’s Harley-Davidson® is definitely your one-stop shop for any Harley-Davidson® motorcycle parts.